Louisiana Elefante is perturbed, to say the least, when her granny wakes her up one morning and announces that the day of reckoning has arrived and they must leave their home in Florida at once. It's bad enough that Louisiana has to leave behind her friends, Raymie and Beverly, and not much better that Granny immediately has dental trouble and Louisiana has to drive her to a dentist. The worst, however, happens when Louisiana and Granny check into a hotel in a small Georgia town and everything Louisiana thought she knew about her life begins to unravel. All she wants to do is go home, but first Louisiana has to come to an understanding of where that really is. I felt pretty lukewarm about Raymie Nightingale and two years later, I don't remember much about it. This companion novel, however, told in the strong first-person voice of Louisiana herself makes a much deeper impression. I was drawn into this story immediately, and I read the book eagerly from beginning to end in a single afternoon. The characters are believably endearing and flawed, and Granny's erratic behavior begs the reader to keep turning the pages. 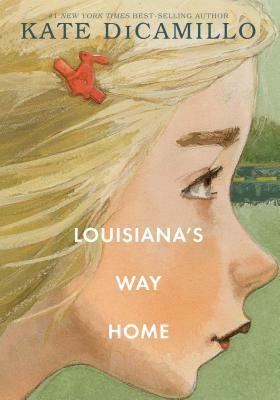 Though events of the story are sad, potential sorrow on the part of the reader is tempered by Louisiana's continually upbeat outlook and her willingness to rise to the occasion in even the most dismal of circumstances.